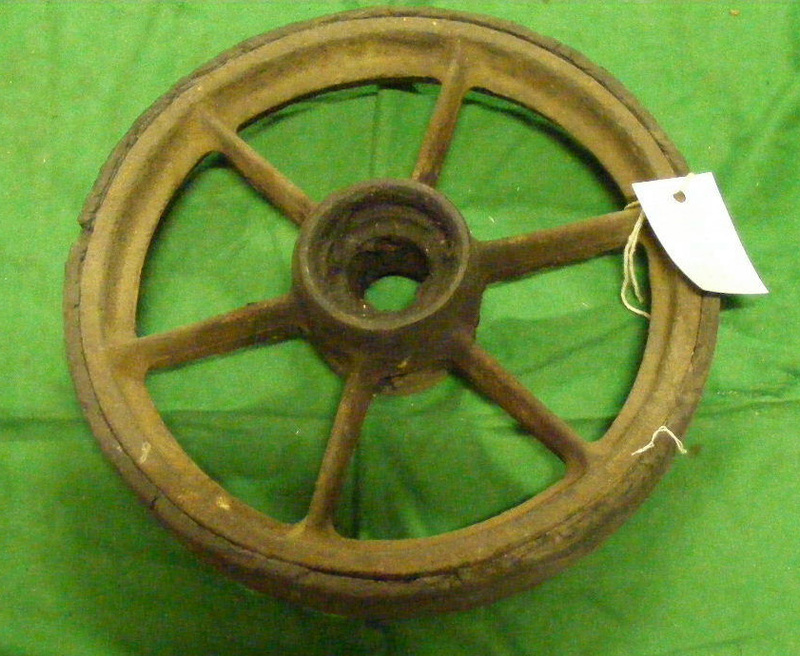 Chasewater Railway Museum – Spare wheels?? In the ‘Station Tools’ department we have some items which, on first glance, have very little to do with railways, but, rest assured, these spares came from railway station goods departments! 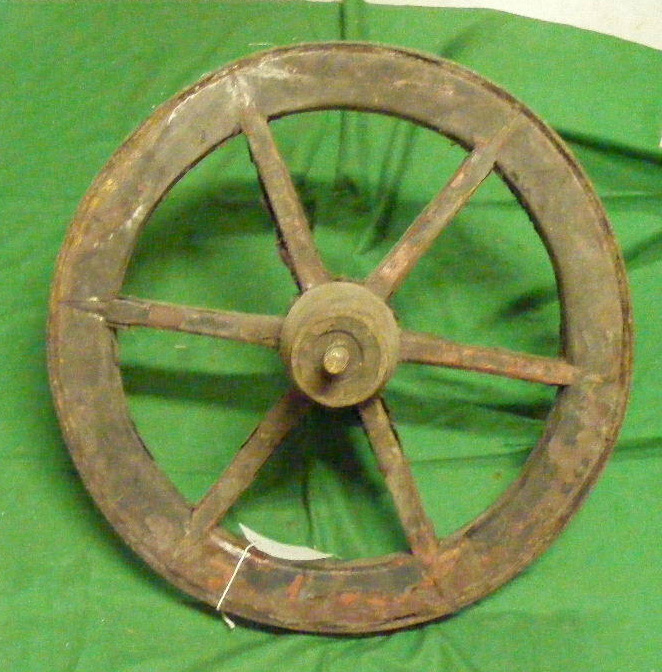 The first one is a common 4-spoke whell-barrow wheel, wood with a steel rim. Very nice joints though! 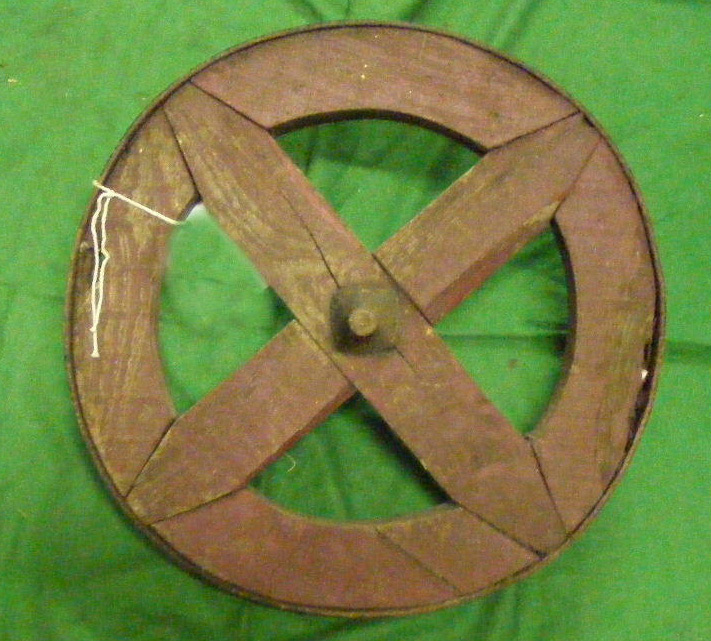 The second one goes up to a 6-spoke wheel-barrow wheel, again wood with a steel rim. The third wheel is not from a wheel-barrow but from a 4-wheeled platform trolley, made from cast iron with rubber tyre. 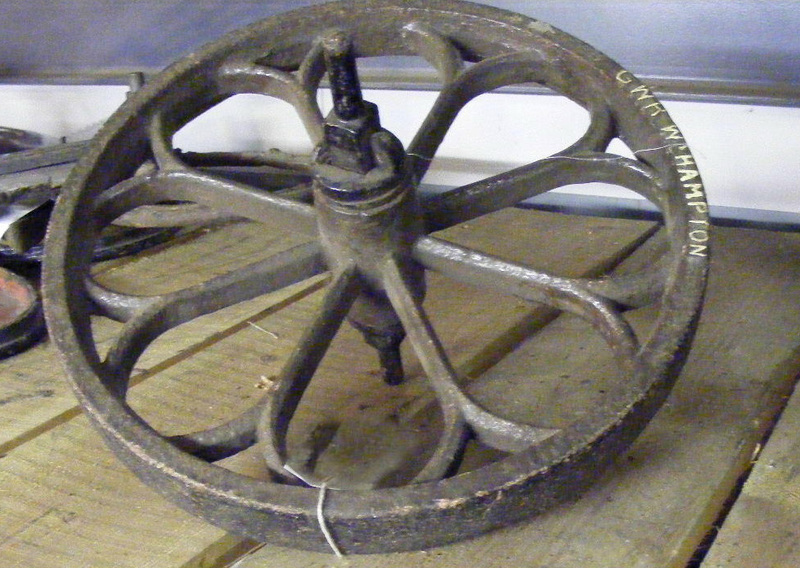 The final one is a very classy GWR wheel-barrow spare from Wolverhampton, made from cast iron. This entry was posted in Museum & Artefacts and tagged Aldridge, Bloxwich, Brownhills, Burntwood, Cannock, Cannock Wood, Chasewater Railway Museum, Cheslyn Hay, Great Wyrley, GWR, Heath Hayes, Hednesford, Lichfield, Norton Canes, Pelsall, Platform Trolley, Spare wheels, Walsall, Wheel-barrows, Wheels, Wolverhampton. Bookmark the permalink.